The long winter holidays provide many the opportunity to fly on the sea with the children. In schools and kindergartens - holidays, parents - legitimate weekend. So pack your bags and head for one of the resorts. The most affordable places to rest in January with the child is the South of Thailand and the Indian state of Goa. The air temperature is 30-32oC, water - 27-29оС. Even the little ones will be warm and comfortable. In addition, warm enough in Egypt and in Cuba. Also suitable for a stay in January Indonesia, Sri Lanka, Maldives, Dominican Republic, etc. But it's more expensive destinations, particularly because of the cost of flights. The problem of acclimatization greatly exaggerated. Most often, children arriving by sea sick due to the consumption of drinks with ice or the common cold under the air conditioner. Knowing this, troubles with health can be avoided. If we consider the three most popular countries for holidays by the sea in winter - Thailand, India, and Egypt, we can recommend a choice of several resorts. In Thailand, you should pay attention to the island of Samui city on the coast of Hua hin. They are ideal for families with children. Samui beautiful beaches and clean sea, there are hospitals, supermarkets, international schools and kindergartens. The only disadvantage to move around the island on foot is quite difficult, since there are almost no sidewalks. And if you do not want to sit with children in the hotel, you will have to rent a car or moped, since the taxi is very expensive. In Hua hin the problems with walking no. In addition, the city is very green with many playgrounds, there's a waterfront. But the sea and the beaches, of course, does not compare to Koh Samui. The water is so clean and clear, the beach is not soft Golden sand, often there are waves, etc., going on vacation in Hua hin, it is better to choose a hotel or apartment with a swimming pool. Do not worry about how the child will survive a long flight. Kids the main thing that mother was there, then it will be quiet. The coast of the Indian state of Goa, almost all suitable for families with children. There are expensive five-star hotels and cheap guest houses. But the stay in India is suitable for those who want to spend the entire vacation swimming in the sea. In Goa there are no playgrounds, entertainment centers and any amusement parks. That is, to go beyond the territory of the hotel or resort with children almost nowhere. In the Egyptian cities of Hurghada, Sharm El Sheikh, El Gouna, also there are no playgrounds and entertainment centers. But there the problem is solved easier. Many hotels have water slides, mini-zoos, a large green area where you can walk. 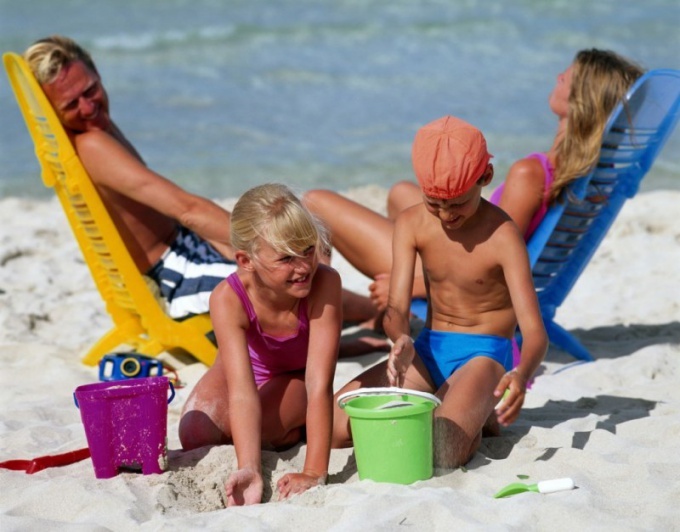 Therefore, to stay with the child, you can choose any Egyptian city, the main thing - not to be mistaken with the hotel.